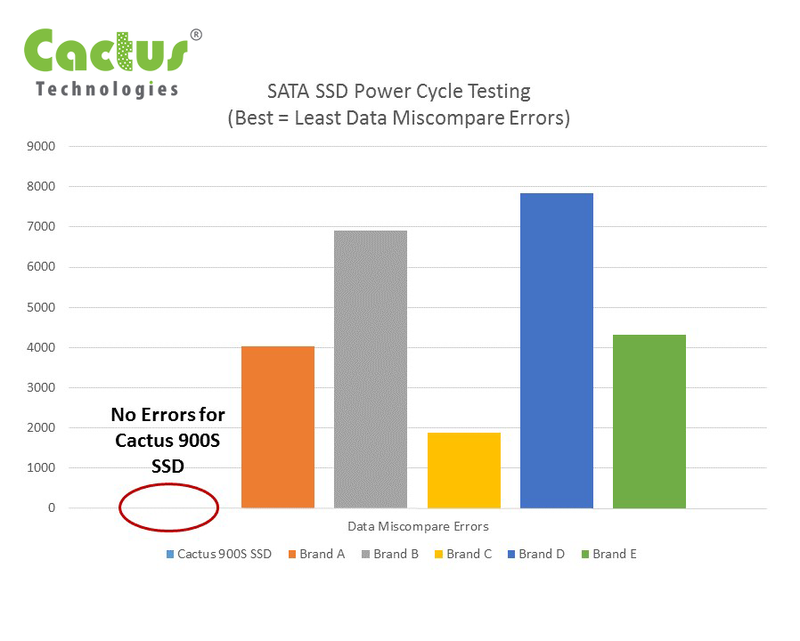 Austin, TX, February 15, 2016	(Newswire.com) - Cactus Technologies’ design of the 900S Series Industrial Grade SATA II SSD takes into account the challenges faced by Industrial Embedded Applications. Unexpected power loss, high shock & vibration, operating temperature extremes and long life cycles to name a few. To test the abilities of write abort protection, the Cactus 900S SATA SSD was subjected to continuous random power interruption cycles while data was written. 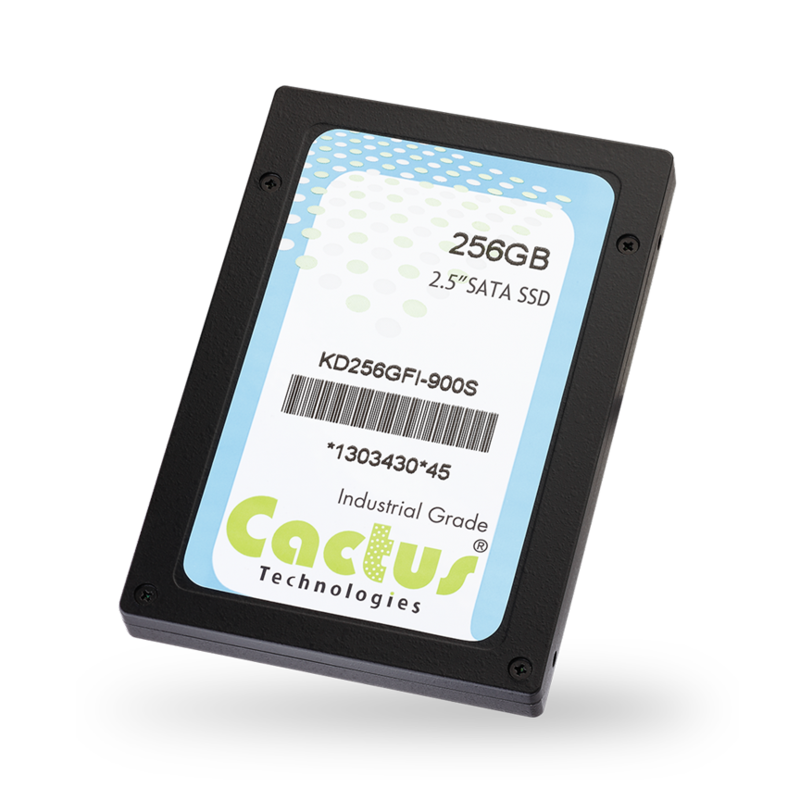 During extensive testing, the Cactus 900S Series performed better than any other SSD. This is due to the high reliability SLC NAND, lack of susceptible DRAM cache and a controller designed for reliability algorithms at the core. Write abort protection is an issue for Embedded OEM system designers. If power is unexpectedly removed from the SSD during a write cycle, SSD updating their internal meta data during a power interrupt may become corrupted or even unusable. The more robust the SSD design the better performance. Extreme Shock & Vibration environments quickly find and exploit the weakest elements of an SSD design. For this reason, the 900S SSD was created with an 8-layer PCBA and Die Cast Steel Chassis as opposed to 4-layer PCBA with plastic or stamped steel. When comparing the tight physical tolerances, it is readily apparent the quality of the Cactus 900S SATA SSD construction. Wide Temperature Extremes wreak havoc on lower end SSD mainly due to their use of lower reliability NAND flash not intended for this purpose. The 900S SATA SSD only uses guaranteed extended temperature SLC NAND flash from the foundry, which has been fully qualified to operate for life within a -45C to 90C environment. Locked-BOM Control ensures the 900S Industrial Grade SATA SSD purchased years from now will remain the same as the part shipping today. Without a notification to the purchasing OEM, there are no changes to the physical makeup of the SSD, Controller Silicon / Firmware and SLC NAND Memory used. Cactus continues testing its Industrial and Commercial Grade products in the most adverse conditions to ensure they provide OEMs the most reliable flash storage solution in the market. Why Industrial Embedded Flash Storage?